This next set of posts, I decided to write letters; which won’t all be easy for me to write, but as promised in my posts – I believe for all of us to get stronger in our faith that we need to be transparent and to heal together as a community. For this first letter and with it being Mother’s Day, I have written this first letter to my daughter’s birthmother. The twist with this letter is I have finally written what has laid hard on my heart. When you read most letters to birthmothers, they are joyous and thankful; which I understand. However, I also think there is a piece about adoption that is quiet, controlled, and not always talked about. Of course, not all adoption stories follow mine which has remnants of drugs, poverty, etc. – but many adoptive parents do confront demons laid upon them through the adoption process. Please don’t take this letter as I don’t love my daughter with all my heart because I do. Also, please don’t take this letter as I am ungrateful to the birthmother because this is also not true. What this is about – is there are feelings of rejection, resentment, and anger that can arise at times. There are also real impacts to choices birthmothers and fathers make. I am not throwing stones because I have made some doosie mistakes in my own life. I just want to shine light on the fact that adoption is not all about pixie dust and rainbows. There can be thorns. In conclusion – Would I have made any other decision then to have my daughter – of course not. Would have I chosen a different child – of course not. Would I have wished Ryley didn’t have to go through some of the heartache she has to go through due to the adoption or have had to deal with ailments that may have been prevented – of course. I am like any other mother. The good part is the life Ryley is living is the life God meant her to live, God chose us to be her parents, and we have God’s grace to get us through the rest. I won’t lie…It is not always easy, but it has been an adventure and we are thankful for the adventure. 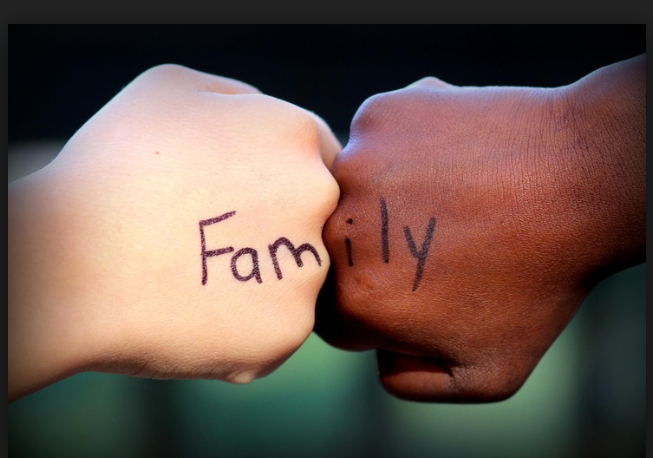 For adoptive mothers like me, let me conclude in saying….I think we need to pray, forgive the birthparents for choices you may not agree with but also love the birthparents for who they are and the gift they’ve given you, and be real in our convictions. Otherwise, we are not helping those who come behind us or helping those currently in need of expressing the pain with the joys of adoption. 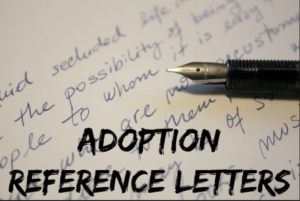 Look forward to hearing from other adoptive parents on what you think…..
It’s difficult for me to write this letter so many years after the fact, but on this Mother’s Day something kept nagging me to write this letter to you whether you end up reading this letter or not. First, there is no words to thank you for the gift of our daughter. I cannot deny the gift. It is a gift, although at times, we struggle with what this gift has meant to our little clan of three. Of course, we always knew the basics of being Ryley’s adoptive parents and being her forever family, but did not understand the whole story. How could we? We were new to the process, we had no other children, and never adopted before. At 7, Ryley has this immaculate picture of who her birthmother is. She imagines you and fantasizes about you. The stories she hears are filled with rainbows and pixie dust not grey strokes. As her birth mother, we could not imagine portraying you any differently because we believe hidden in the pages of her life stories is innocence and a pure love she has for you. However, we also know there is a dark side to these stories because the story of adoption does not end the minute you leave the hospital room. For instance, every time Ryley gets angry, she will say – “You’re not my real Mom” or “you’re just taking care of me right now to help out my true Mom.” It’s crazy no matter what life Ryley lives or how much we accept and love her – she has a sense of rejection and these words can and have escaped her mouth. As parents, not solely adoptive parents, we expected to hear these words at times of frustration, but unlike you – we are unable to live in the world of pixie dust and rainbows; which at times can feel like the world is falling on us, Many times we are blamed for things we didn’t cause to happen. We are blamed for the choice of adoption because we are here. The intent of this letter is not to hurt you. In all actuality, in our world, we check off all life misfortunes as this is life. We also think with all life’s trials we are the lucky ones because we have our beautiful daughter we get to wake up to every day. Yet we now have our eyes open and understand adoption is a journey with its ups and downs and not solely a singular event that can be stuffed behind a pillow or happily shown on a commercial. In Ryley’s case, in particular, she struggles with ADHD and controlling her emotions. Her pediatrician said these ailments most likely were caused while in utero. I can’t blame you. How can I? I don’t think you knew about the cause and effect of ADHD. We didn’t know. Ryley is doing much better as she matures, but sometimes has problems coping; however, with lots of prayers, talks, and help from us, her teachers, and her medication – Ryley always gets back up. She is a fighter! She is a lot stronger than I am and ever will be! This leads me to wonder if you are also a fighter. As I peruse your Facebook page, my insides crumble. Honestly, I know little of your background or little of the world in which you live. We met on several occasions before Ryley’s birth, but still don’t think I knew the real you. Thinking about it now, you stood behind a mask. Truthfully, I wish there was more pixie dust and rainbows behind your mask. Again, I refuse to point the finger. Looking at your Facebook page, I can see how difficult it would be for you to be honest and to spill your life’s garbage to a stranger. However, I can not lie and say it is easy to see posts about jail time, various men, losing jobs, gang talk, etc. As naïve as this may seem, I loved our talks before Ryley was born and always thought you were the lion tamer keeping life’s roars at a distance. You were passionate about learning and we loved to stand beside you as you talked about turning another leaf. Of course we all have roars that creep up on us, but overall thought you were on the up and up and you were seeing past the horizon. However, unfortunately the roars became loud rather quickly. The first time my thoughts about you took a turn for the worse was during Ryley’s birth at the hospital when they told us there were traces of drugs in Ryley’s system. I still remained less angry than Ryley’s dad who sat quietly in the room, but inside he was exploding like a volcano. I guess I did not want to be angry with you. More than the drugs, it hurt to think the woman who sat in my car on so many occasions was holding back such big, monstrous secrets. She was living a double life. I wanted to trust the woman who gave birth to my daughter was starting Ryley’s life off on the right foot. You swore you only took drugs once during the pregnancy. Either way, why did you have to take drugs at all? Don’t get me wrong – I still believe your love for Ryley was evident in the gift of adoption, but truly wish you would have stopped the demons on the dreadful day you thought drugs was a good idea while still pregnant. Luckily, Ryley did not show any symptoms at the hospital, but who knows the road ahead. Leaving the hospital, I kept an open mind and continued to wish the best for you, but every time our lives mixed through social media I was reminded you were not the girl who once sat in my car. It saddens me because the girl I once knew was strong, smart, and caring. I still believe you have these qualities although it appears your mind, at times, can shift to the dark side. On a bright note, you’d be proud to know, thus far, Ryley has hit all of her developmental milestones and many times has hit the milestones before they were expected. We feel lucky Ryley is developing well, but sometimes we realize we are not out of the dark just yet. Focus and defiance are Ryley’s enemies right now. When she is at the top of her game, Ryley can be sweet, mindful, creative, and exuberant, but when she is off it is like the attack of the body snatchers. Ryley can be a completely different child. She can get extremely angry where she screams and refuses to do whatever is asked of her. Must admit it makes the whole family tilt off kilter. It impacts the marriage and at times the relationship with Ryley. There have been times I have had to physically restrain Ryley to get her to breathe and calm her down. I wonder do you live with the same demons? If you do, I wish I would have known. Maybe your experience or advice could have given us some tools before we knew what tools were needed. I will say – we’re trying our best to help Ryley with each of her demons. It’s a roller-coaster ride. She’s a very smart and perceptive girl; which I believe exasperates the situation. Many times Ryley will apologize after the volcano erupts and she’ll say things such as “Can I ever be a good girl?” It’s heart-breaking when this happens because we know she desperately seeks to be good and we know how good Ryley is most of the time. Currently, she has more good than bad days, but when Ryley has a bad day it is a tsunami and not a gentle wave. Our biggest fear is when Ryley is a teenager. We just hope by then she’ll be able to manage the ups, downs, and tornadoes. We also wonder about the day. The day she meets you. We know she will want to meet you some day. As you can see, we’ve never kept you secret, but we have kept many of your life happenings secret. We don’t judge you, but can’t say how Ryley will react when she observes both the light and dark side. Someday Ryley will realize on her own – the life you live is not solely filled with pixie dust and rainbows. We just hope Ryley’s faith will help her rise above any of the crazy. Quite honestly, a piece of me will always hold onto the woman who sat in my car. Of course, when Ryley meets you in the flesh she will see what I have seen in you, but also the garbage that has seeped into your life. For this – I pray you to find true wisdom, God’s love, and the ability to be a lion tamer. I pray for a strong heart, health, and mind. I don’t wish your life to be only pixie dust and rainbows because we all have to learn, but pray you find real happiness. I pray for you to get back up when you fall. I pray you never give up the fight, you understand the choices you have and will make, and you are not guided by the dark side. I pray you find love for yourself and love for those around you even the ones who have hurt you in the past. I pray you rise above the muck, you forgive yourself, you shine in God’s light, and you become who God made you to be. In conclusion, this letter is tough for both of us, but hope you know I wrote it in love. It was time to no longer hold onto the masks and fog. Hope you know no matter what I won’t allow others to judge you even through the muck because you made choices of life and love through my daughter’s birth. Something I know my daughter will thank you for someday. Please also know, I am the last one to throw stones. I am not perfect and never will be, but thought you needed to know adoption is not all about rainbows and pixie dust. Lastly, thank you for my sweet pea. Also, please continue to pray for us. Please pray for our little clan that we will march through this journey of adoption with minds wide open, God’s grace, God’s shield when it’s tough, and with a lot of love. Thanks for listening, hope you take this letter to heart, and hope you can embrace the lessons we’ve learned about the trials and tribulations of adoption.